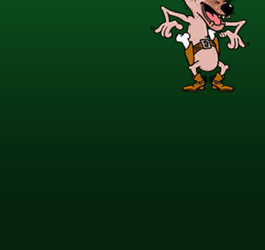 Welcome To SAMs Doggie Dude Ranch ! 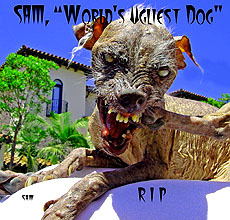 SAM's Doggie Dude Ranch is named for our beloved dog SAM, undefeated champ of the World's Ugliest Dog Contest. Although SAM has gone to Doggie Heaven, his gift to this world lives on. 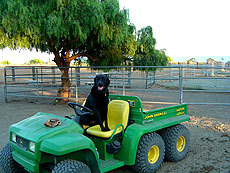 SAM’s Doggie Dude Ranch is set on a 300-acre cattle and horse ranch on the gorgeous Gaviota coast. The ranch has been in the family since 1866. Our 1 acre fenced compound offers plenty of room for playful romps, soaks in the water trough, peaceful walks, lounging or chasing squirrels! Our one acre compound has a main yard and a hillside yard filled with trees. We also have a very large “swimmin’ hole trough that is safely fenced off from non swimmers. There is a large sand pile just for fun digging. Lots of space to play hard or to find your own nook to just hide out and watch all the activity. We have a separate 150+ foot private run if anyone needs a time out. We also can offer a private yard for the little fellows and/or the elderly if they want to be separated to feel safer. Our yard is very flexible to change as needed with different dog’s needs. Certain super high energy, approved dogs may be taken out on a 150 acre pasture on the ranch to really run on a supervised ranch outing. However there is plenty of space inside the compound to get worn out too should the dog want! All dogs are separated at night for dinner as even the sweetest dog can turn aggressive over a loose kibble and are housed in our custom, fully insulated (floors, walls and ceiling) bunkhouses, mini-barn, or cedar cabins. Some dogs can also sleep in the heated main barn. Each of our sleeping arrangements has its own individual, private fully fenced yard (even overhead fencing) so that dogs ALWAYS have access to fresh air and dirt which makes them happy and secure. Dogs are separated at dinner although dogs from the same family can sleep and eat together. After breakfast dogs are released from their private yards for another day of fun at the dude ranch! Our compound is encompassed by a six foot fence with an additional foot of dual-angle fencing at the top. The added fencing discourages dogs from climbing out and prevents anyone or anything from climbing in. The entire perimeter of our one acre compound has an 8” x 18” solid concrete trench down into the ground to prevent dogs from digging out. The entry to the play yard has a holding area, air-lock where new dogs can be introduced before meeting the gang. This also helps us let dogs out one at a time without the pack bolting out. Because we are a (mostly) cage-free boarding facility, we prefer highly socialized and friendly dogs. We are open to all breeds but will not accept dogs with a history of violence. (These types of dogs would be better suited to another type of kennel.) We expect owners to know their dog's temperaments and social history. We like dogs who do well at off-leash parks or the beach. We allow non-spayed and non-neutered dogs (at our discretion) up to 18 months although they may be separated. They have a separate exercise area as well. Please no females in heat or who might go into heat.